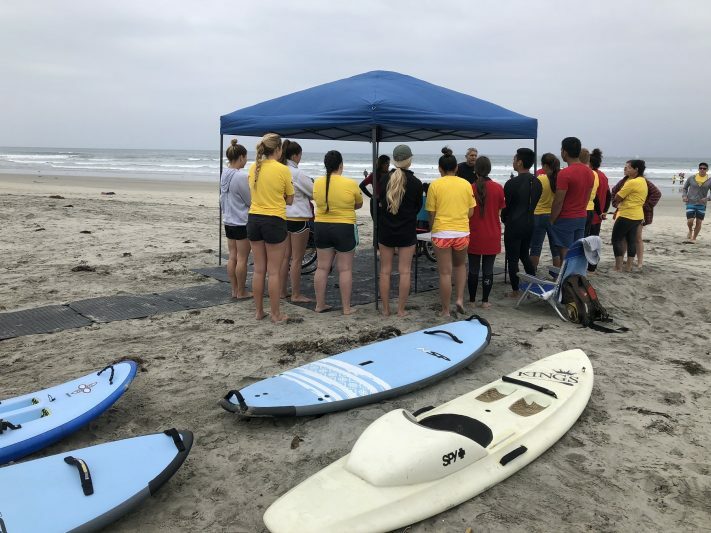 Join us on Saturday April 6th at Tourmaline Beach in Pacific Beach, California starting at 11am for a clean up followed by some fun surfing. We will have beach access with the Beach Trax pathway, a pop up tent, some clean up supplies and snacks. Please bring your surf gear if you plan on getting into the water for some fun. There are bathrooms and parking nearby. We will also be featuring our specially designed ladies tanks and t-shirts in collaboration with local boutique Tanned N’ Tipsy. The slogan, “Everyone needs vitamin sea” artfully spans the front of the garment. All profit from the sale of the items will go towards a fundraiser so the local adaptive surf group Waves4All can buy much needed Beach Trax. You can order the items at the event or by emailing us directly.